Easy to give. Fun to receive. 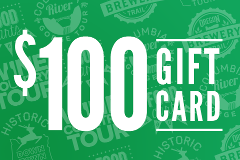 Give them an Pedal Bike Tour Gift Card and they can book any tour online. or call 503-243-2453.